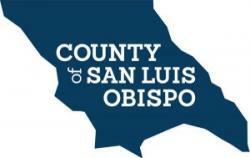 The County of San Luis Obispo is actively recruiting for Community Health Nurse positions in the areas of Field Nursing, Maternal Child and Adolescent Health, Communicable Diseases, and the California Children's Services! This recruitment will address the need to fill current permanent vacancies, as well as to establish an ongoing list for future permanent and temporary vacancies and on-call or substitute positions. Field Nursing CHN: The Field Nursing Program provide nurse visits in the home to eligible, low income families, pregnant women, infants and children. Two programs are included: Nurse Family Partnership helps first time mothers during their pregnancy and until their child turns 2 years old and Early Support Program which helps high risk pregnant and parenting families, such as teen parents, homelessness, mother/baby exposure to alcohol or drugs, domestic violence, foster care, child protective services, or medical needs. Both programs provide guidance, resources, and community referrals to assist clients and families to have healthy pregnancy, childbirth and developmental outcomes. MCAH CHN: This position is in the Maternal Child and Adolescent Health program and provides outreach related to maternal child health to community based organization and the community as a whole. The incumbent will work closely with the MCAH program manager to complete state guided goals and objectives. This position includes: active participation in substance use in pregnancy prevention campaigns, liaison between other county departments and community based organizations regarding public health activities that affect the maternal child health population, and SIDS coordination. CD CHN: The Communicable Disease program provides mandated oversight and follow up of specific mandated communicable diseases. The position also performs clinical services including childhood vaccines, flu, and travel immunizations and provides education and follow-up with the community and medical community. CCS CHN – The California Children's Services (CCS) program provides care coordination for children with special health care needs. This position frequently interacts with families, providers, and community-based organizations and involves considerable phone and computer work on a multitude of county and state systems. CCS CHN's determine client medical eligibility and case manage approximately 350-400 medically fragile children, evaluating providers' service requests, reviewing medical reports, and processing authorizations for providers, hospitals, and special care centers. To view the complete job description for Community Health Nurse I, click here. To view the complete job description for Community Health Nurse II, click here. The ideal candidate will be passionate about nursing and have knowledge of the principles and practices of professional nursing. Experience working with California Children's Services, Maternal Child and Adolescent Health, Communicable Disease programs or as a Field Nurse a plus. Candidates bilingual in Spanish are highly desirable. Possession of a valid California license as a Registered Nurse. A valid driver's license is required at the time of application. A valid CALIFORNIA driver's license is required at the time of appointment and must be maintained throughout employment.